Get your Vermont’s Northland Journal books and much more right here! We will be adding more items as we go, so please check back often. The Northeast Kingdom’s Jay Peak region has a rich history—logging, farming, bootlegging, and an international arms dealer who fell victim to a faceless assassin. However, it is best known as the home to Jay Peak Resort, a four-season destination resort that opened in 1956. Many people of the time viewed the men behind this plan as delusional dreamers. Today their dream brings upwards of 650,000 people to the Jay Peak region each year. 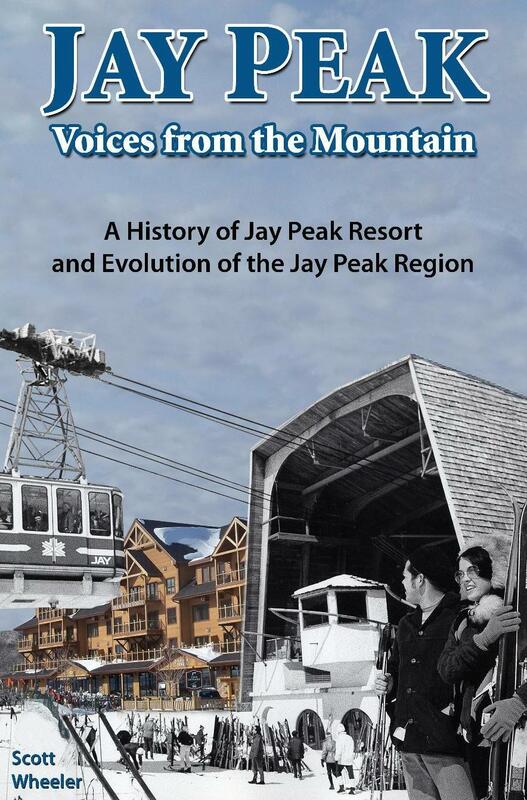 This book 224-page book explores the history and evolution of the Jay Peak region and of Jay Peak Resort. 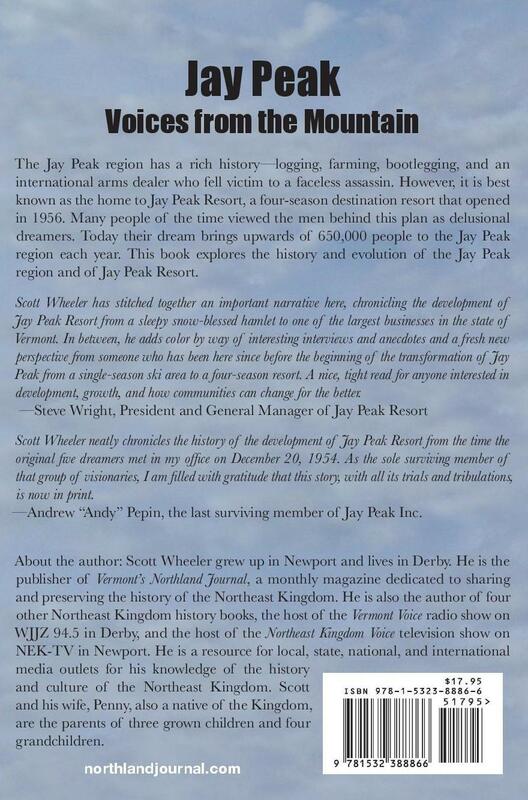 To buy a copy of the book, order here, or send $17.95 plus $3.00 (price is based on delivery in the U.S.), to Vermont’s Northland Journal, PO Box 812, Derby, VT 05829. Or to order by phone call (802) 487-0254.